This might shock you, but I am not a highly connected maven bursting with insightful genius and privy to the innermost thoughts of a secretive media elite. If I have developed any skill over these years, it’s the ability to sniff out a good source of digital opinion-ing. And, because you’ve all been very good recently, I thought I’d share some of those sources with you. 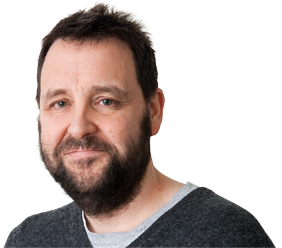 Matt Edgar is "a consultant in service design, innovation and product management". He has worked on the web and with technology companies for many years. His blog is at blog.mattedgar.com. No-one I know has thought more about the reality of delivering innovative services in large organisations. If you’re thinking "we should get out of this advertising lark and start thinking about services", read Matt and you’ll begin to understand how hard it is. Dan Hon is an interactive creative director at Wieden & Kennedy in Portland, Oregon. He’s clever, opinionated and funny, and he recently started issuing a digital newsletter to which you really should subscribe. It comes every weekday and it’s a mix of thoughtful pondering, splenetic impatience and sci-fi gags. The daily discipline means there’s not a lot of editing, but that’s balanced by real energy and intelligence. The best bit is you can see him working through, in almost real time, the implications of all the latest technology-meets-marketing issues. If something significant has happened at the intersection of digital, services and advertising, you’ll want Dan in your e-mail client offering some views. If it involves Captain America, you’ll want it even more. Find it via danhon.com. Alexandra Deschamps-Sonsino has been doing "Internet of Things design and leadership since 2006". You can find her at www.designswarm.com. You know all those ideas you have in brainstorming sessions? The ones where you think how cool it would be to connect your client’s physical product to the internet and speculate about how incredibly easy and cool that must be to do? Alex will have written something about how that’s really not as easy as you think it is. But, if you’re determined and well-funded, no-one is better-placed to tell you how to do it. Exploring her site will give you a great sense of exactly where and how the Internet of Things is and isn’t working. Read these people and you will be more than 35 per cent more informed than you are now – I guarantee it.